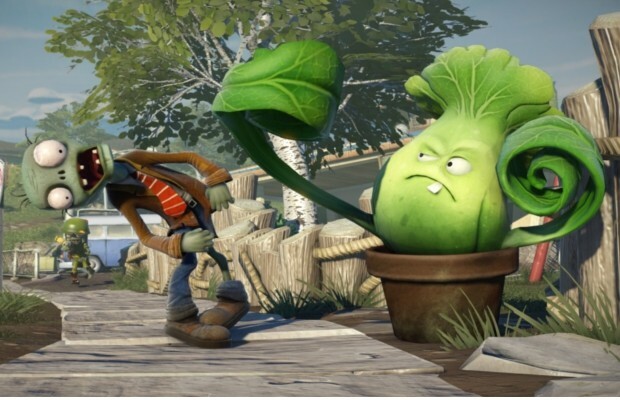 One of this year’s E3 reveals was a new title in the Plants Vs. Zombies series with Garden Warfare and it’s looking pretty cool for Xbox One, 360 and PC. We finally have a release date for the title of February 18 in NA and February 20 for EU. Above, you can check out a new look at some more gameplay for the title. One of PopCap’s executive producers gives you a walkthrough of some of the new classes for your plants to take on those pesky zombies. Garden Warfare mixes the traditional tower defense of the original but adds a whole new layer of third-person shooting and adds co-op to the mix. It’ll also include multiplayer for up to 24 players and it’s made in Frostbite 3, the engine used in upcoming next-gen titles like Dragon Age 3 and Mirror’s Edge.